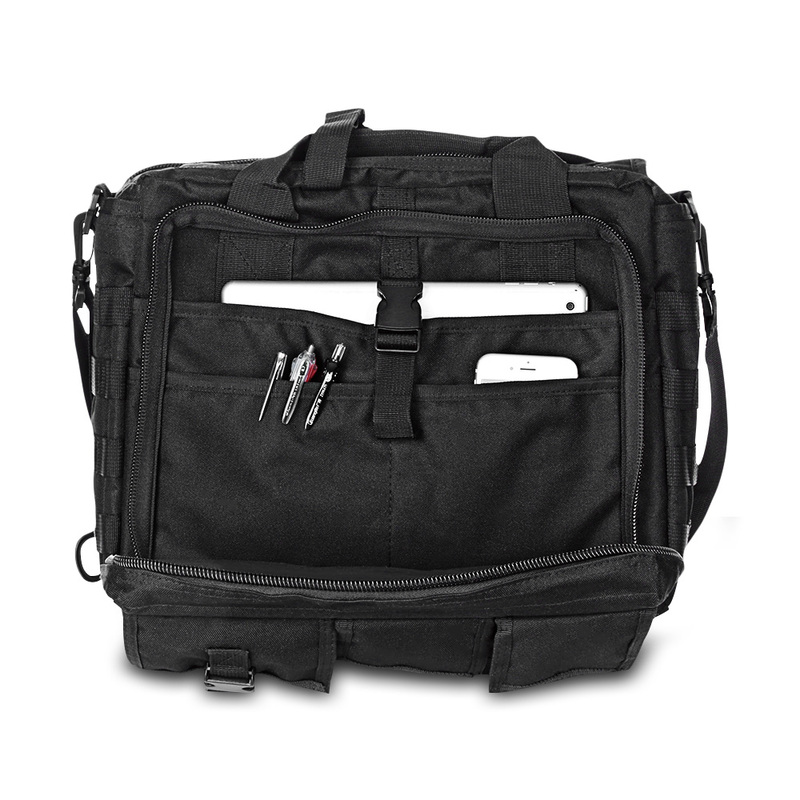 LAPTOP COMPARTMENT: Padded laptop sleeve，can be accommodated 15.6-inch-computer，the internal anti-collision isolation pad is a Velcro design,you can install and remove as needed. 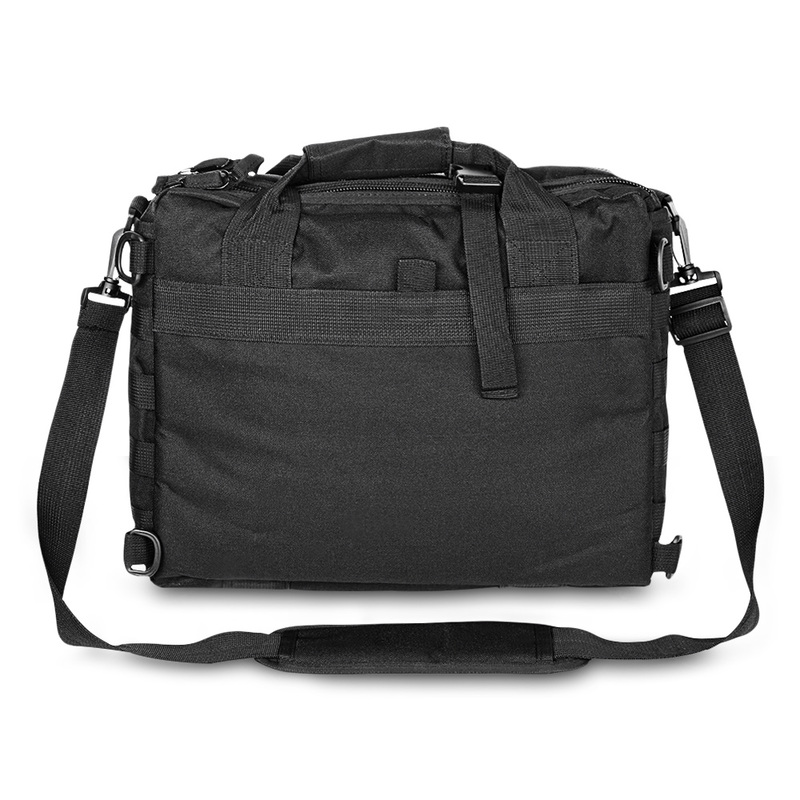 â€?DURABLE MATERIAL: Water resistant 600D Nylon, Water repellent liner effectively protect data. 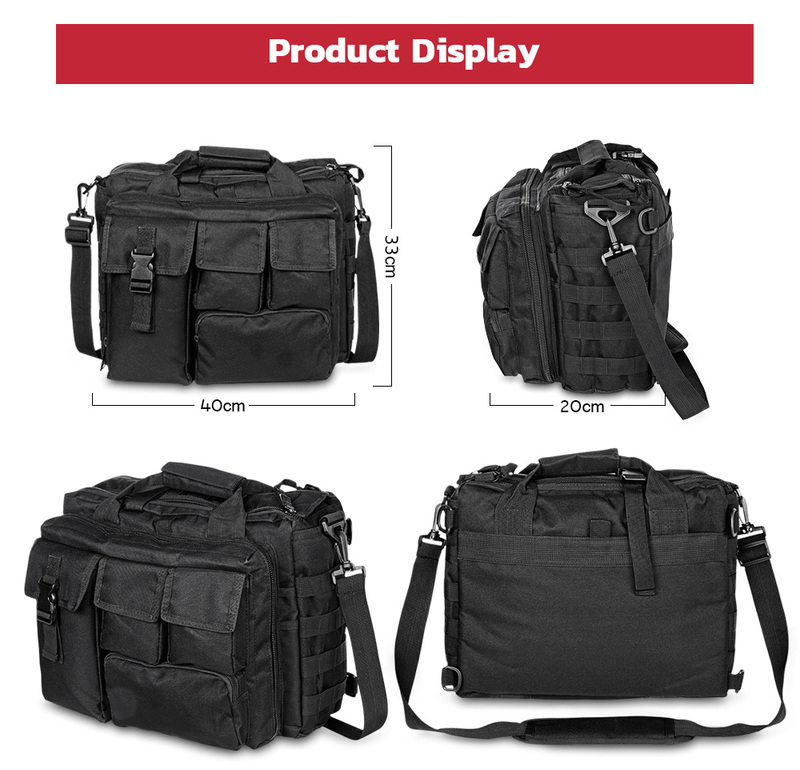 Velcro and double zipper closure design to take place easily and ensure long lasting performance. 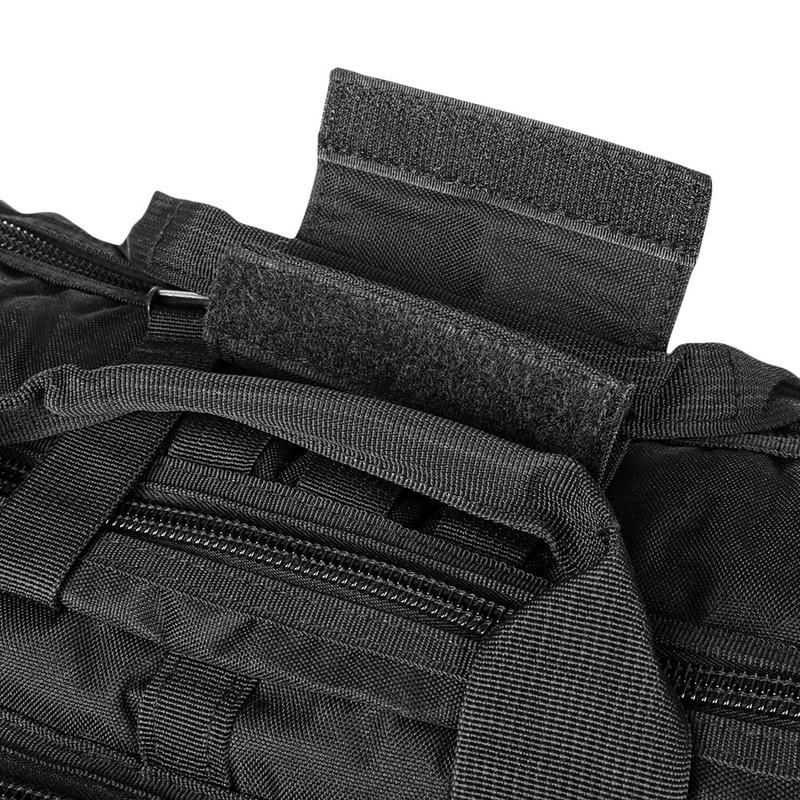 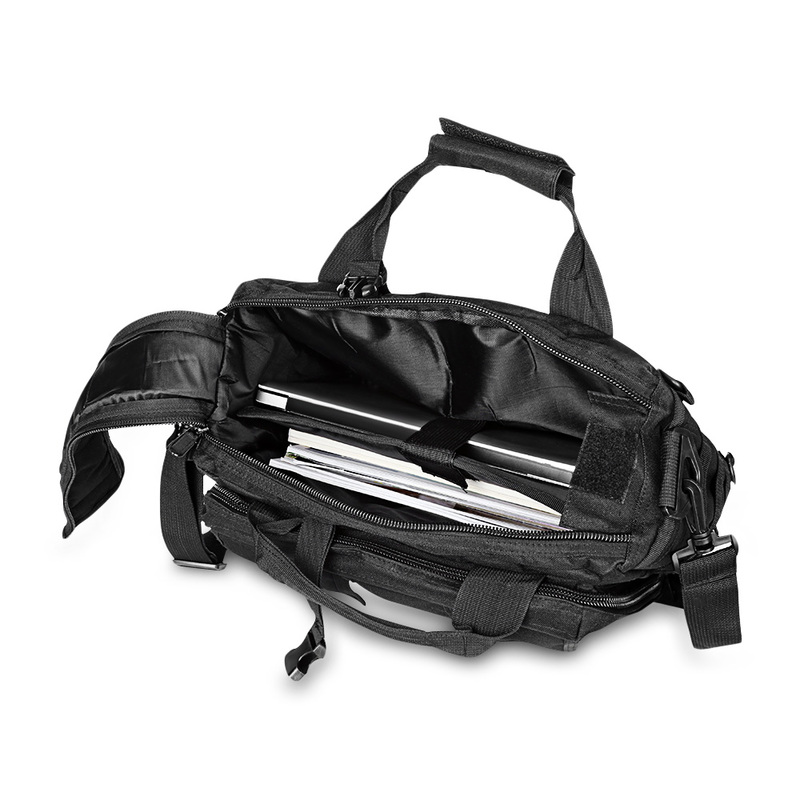 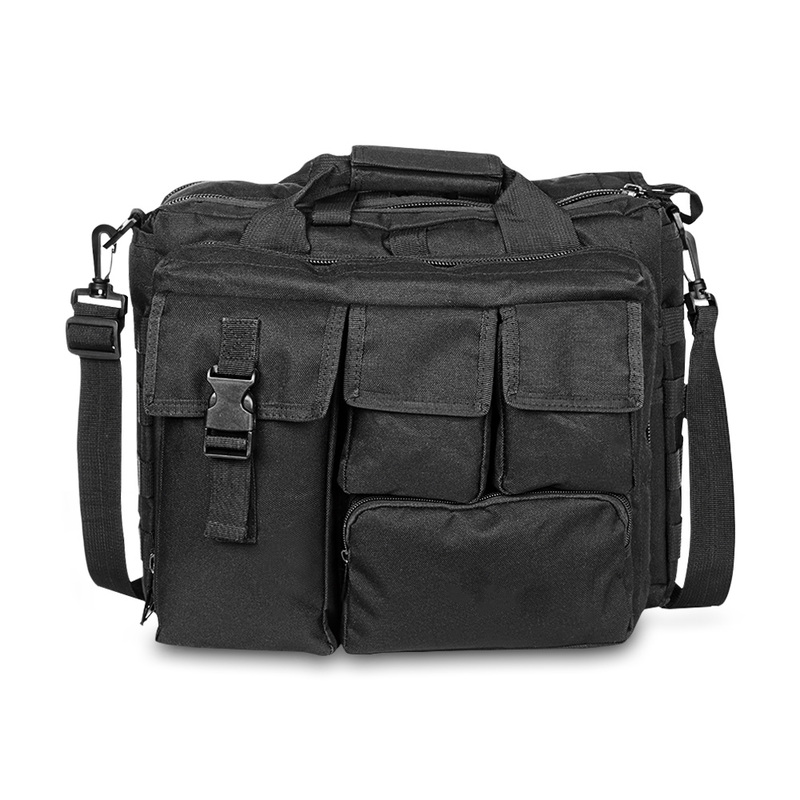 â€?MULTI-PURPOSE POCKET: Multiple pockets are for easy organization of gear. 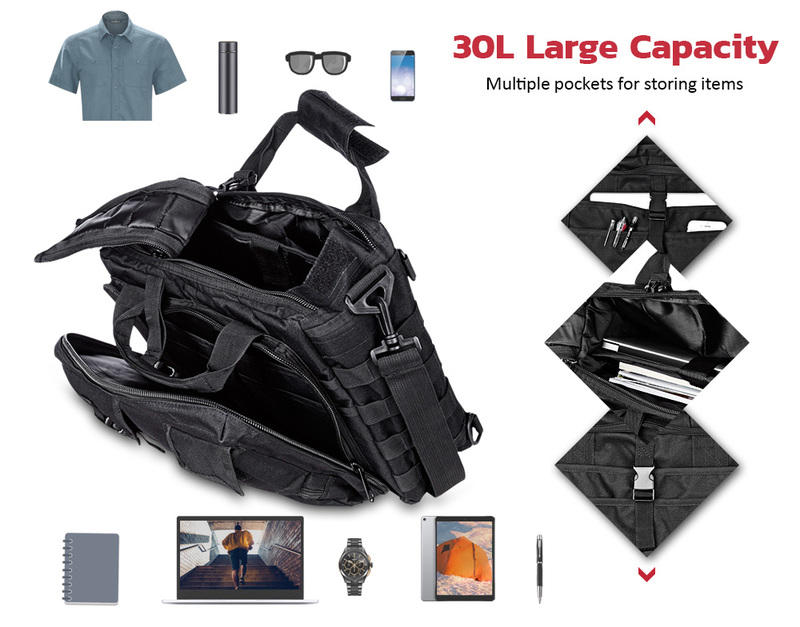 There are four utility pockets at front, you can put a mouse, power supply, cellphone and your data lines; The front zipper compartment is designed with 3 inner pocket;One behind, two inside of the main compartment. 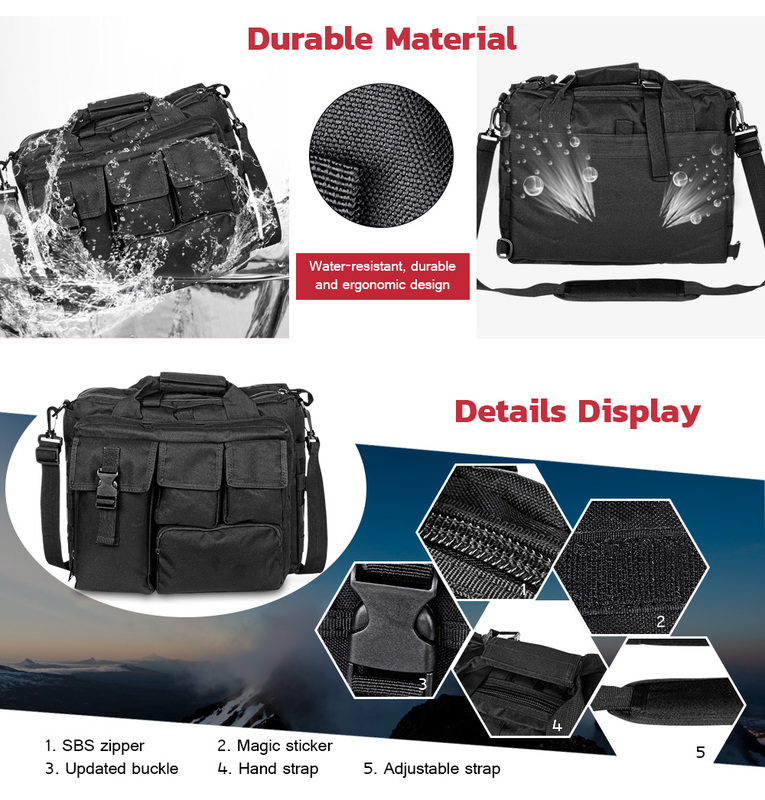 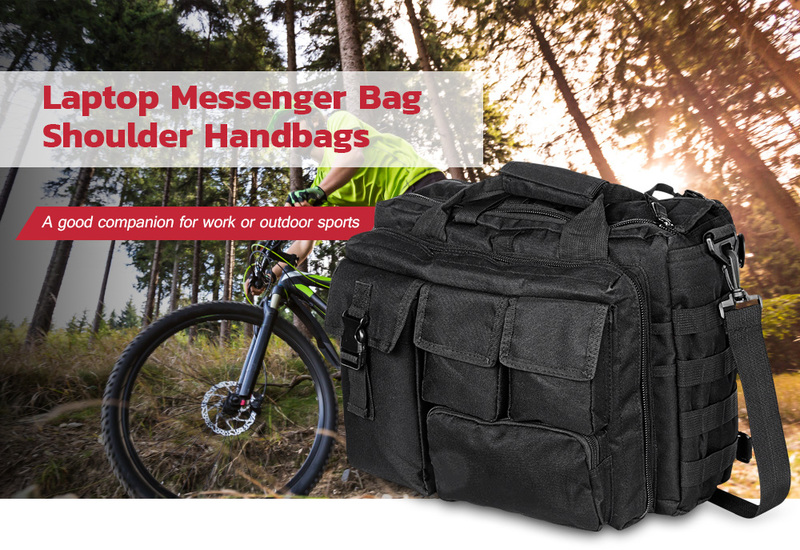 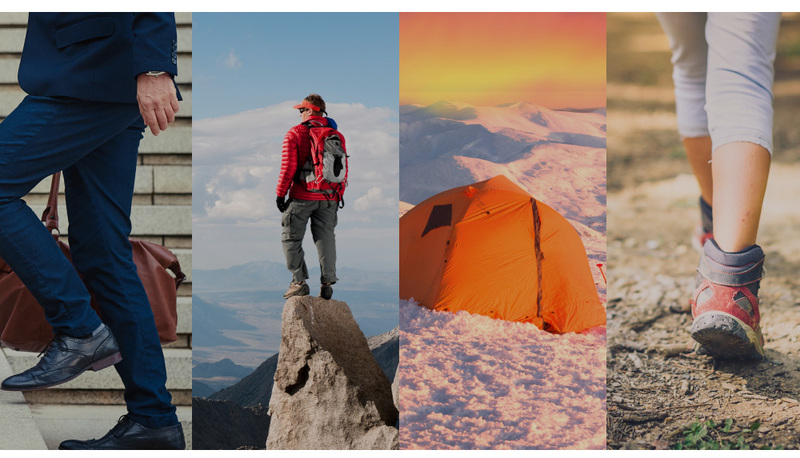 â€?CONVENIENCE: Both the comfort,Foldable Velcro handle luggage handle attachment and shoulder strap with high strength nylon webbing,feel is more flexible, perfect for hiking, school, travel and other outdooor activities. 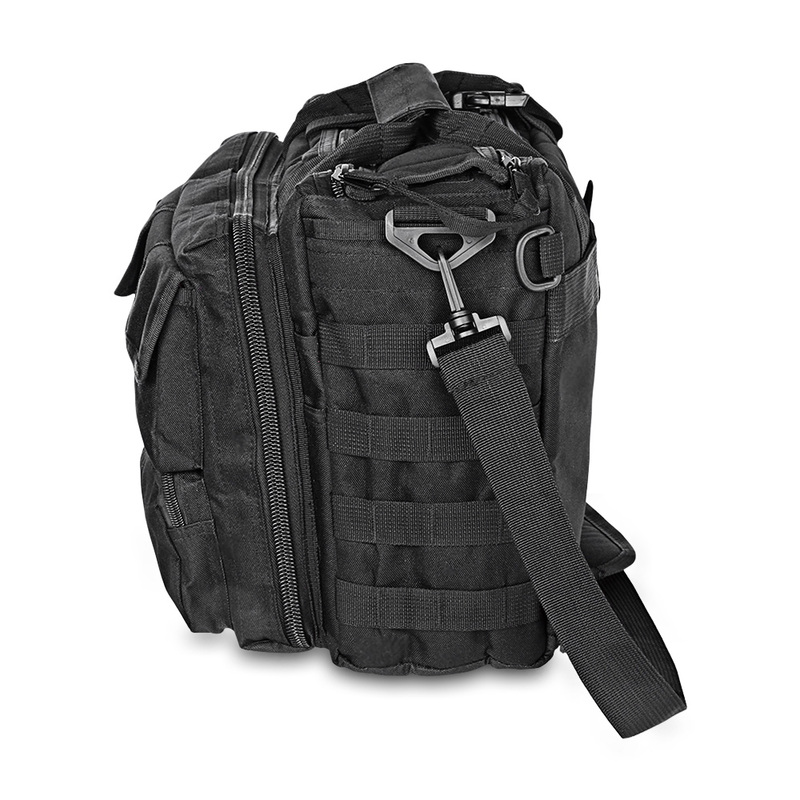 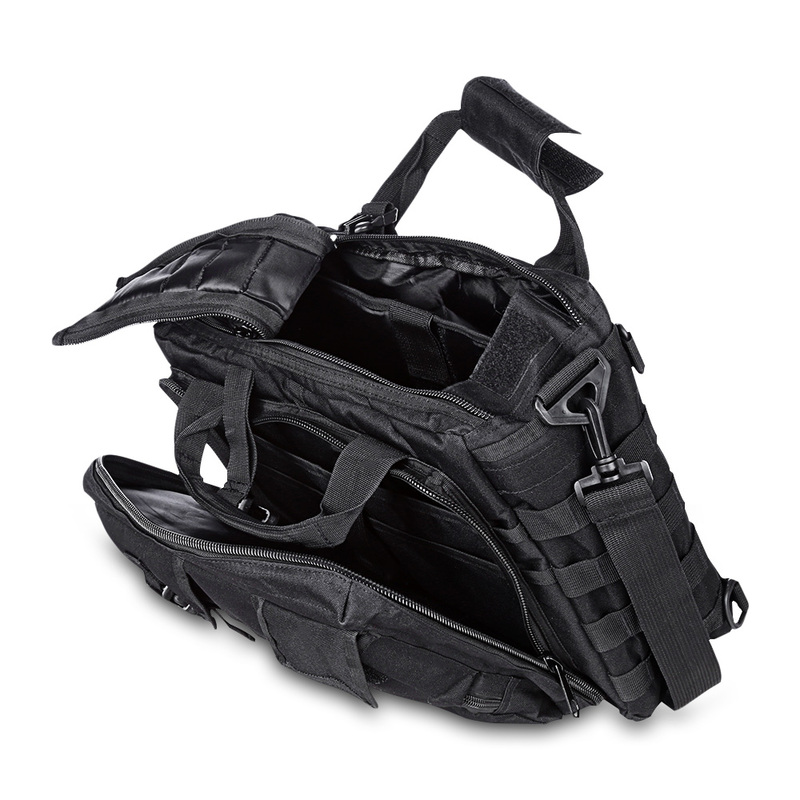 â€?MOLLE SYSTEM:bags on both sides with expainded capabilties,may be outside the hanging objects such as kettles pouch etc.